Schneider Kreuznach is a name that for many who are new to photography, is not terribly well known, perhaps you spotted it once or twice on some other companies compact camera and that is about it. 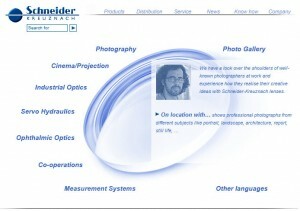 If you have your roots in large format film cameras you will know Schneider and that they are known for lenses and quality that is up there with all the great German brands. Now Schneider have announced that they will be joining the Four Thirds Standard group which has the likes of Olympus and Panasonic as the systems founders. It could be very interesting to see what the future holds in terms of lenses for say your Olympus PEN.